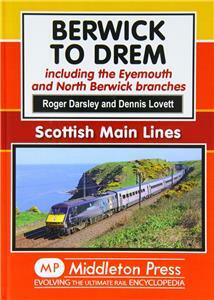 Authorised on 1844 and opened in 1846, the North British Railway linked Edinburgh with the Border Town of Berwick. The opening of the Royal Border Bridge in 1850 elevated the route to main line status. Today it is part of the electrified East Coast Main Line. Whilst the North Berwick branch somehow survived closure the Eyemouth branch was not so fortunate and is now a distant memory.